Should Capcom Revive The DINO CRISIS Franchise? During the height of Capcom’s classic survival horror franchise Resident Evil back in the late 90’s, the team behind the game quietly introduced a new title that is inspired by Resident Evil’s formula. However, instead of having zombies and other bio-organic weapons in the game, Capcom introduced a different enemy, one that is believed to have gone extinct approximately 65 million years ago. Dino Crisis, created by Shinji Mikami, which was released back in 1999, introduced dinosaurs in the survival-horror genre. Fans of Resident Evil, and newcomers alike, were quick to jump in the Dino Crisis bandwagon, and the game was received positively by the community. A year later, the sequel, Dino Crisis 2, was released and shocked players on how the franchise quickly shifted from horror to more action-oriented gameplay. Usually, when developers make drastic changes to their game’s style, they do it gradually, to let their fans get used to the idea first. However, Capcom did the unusual move and made Dino Crisis 2 a fast-paced dino shooter. Surprisingly, despite the major overhaul with the game’s play style, fans still loved Dino Crisis 2. Everything from the setting, to the story, to the characters, worked well. The ending of Dino Crisis 2, even had me emotionally invested and teary eyed as I was finishing the game. 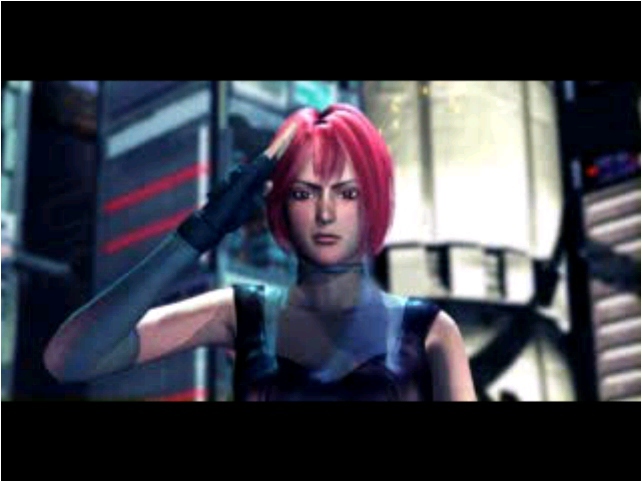 As the series produced two successful games, fans anticipated if Regina, the heroine on both games, was able to fulfill her promise to Dylan, the main character in Dino Crisis 2, and patiently waited for the next installment. Check out the ending scene of Dino Crisis 2, WATCH AT YOUR OWN RISK! Unfortunately, when Dino Crisis 3 was released, fans were disappointed as Capcom completely rebooted the series. The game took place in space that had mutant space dinosaurs replacing regular ones. No one knew how the new game fits into the canon story of Dino Crisis and people were wondering on who these new characters were. Eventually, Dino Crisis 3 was not received well by fans and Capcom decided that this will be the final game in the series. Capcom’s tweet may not guarantee that the series will return. However, the fact that they showed interest in reviving it if fans would wish, is already a step in the right direction for the return of the series. Personally, I would love to see Capcom bring back Dino Crisis whether as a remake for modern consoles, or better yet, by creating a completely new game that would take place after the events of Dino Crisis 2. Capcom can disregard Dino Crisis 3 completely, or at least tie the story properly to its predecessors. With “dino-fever” on the rise again with the upcoming release of Jurassic World: Fallen Kingdom, I believe that a fresh Dino Crisis game, with modern mechanics, infused with all the fun and suspense of battling dinosaurs, would make for a pretty exciting game. In the end, Capcom made it clear in their tweet that it is now up to us, the fans of the game, to make it possible for Dino Crisis to make a comeback. A spark has already been ignited with recent discussions online. All we have to do is to make our voices louder and let Capcom know that yes, we would like to see Dino Crisis make a return in the gaming industry. I mean, we have to know if Regina was able to keep her promise! Would you like Capcom to #BringBackDinoCrisis? If so, let your voice be heard and let’s make this happen! Is Capcom Up To Something By Changing RESIDENT EVIL'S Profile Picture To A Retro Logo Of The Game? Will Capcom Reveal RESIDENT EVIL 2 REMAKE This E3? Is The Project Dead? Capcom Just Registered A DEVIL MAY CRY 5 Domain Name, Should We Expect An Announcement Soon? What Should Capcom Remake Next After RESIDENT EVIL 2? Is STEAMWORLD DIG 2 Getting A Physical Release?